When the jobs of 124 nurses working in 12 Illinois corrections facilities were in danger, The Illinois Nurses Association (INA) partnered with David James Group to develop an aggressive, multi-channel, integrated grassroots public relations campaign to counter this move and stave these layoffs. On March 18, 2017, the Illinois Department of Corrections issued a letter to the Illinois Nurses Association (INA) announcing that 124 nurses who work in 12 Illinois corrections facilities represented by the INA would be laid off effective June 15th. Subsequently, they were allowed to re-apply for their jobs under the supervision of a private, out-of-state contractor in Pittsburgh. With nurses in danger of losing their jobs and inmates alleging substandard care since the new contract with the Pittsburgh company began, INA and DJG created a grassroots public relations strategy. This strategy included internal communication to INA members, news release development, media outreach, a news conference to introduce the legislation, videos that told the nurses’ stories, social media posts, Facebook ads, and newspaper ad creative development and media buying. A news release was immediately issued upon receipt of the letter which was picked up by dozens of Illinois state newspapers and media outlets. INA’s Springfield office also hosted several television interviews with stations in Decatur and Springfield. This resulted in several published stories about the layoffs in several markets around the state. Many placements featured personal stories of nurses who were impacted by the potential layoffs. Simultaneously, scripting began for a video that would tell the nurses’ stories, which would be distributed to the media directly as well as INA members, nurses, union activists and account holders via Facebook. Six ads were also placed in newspapers in the districts of legislators who were both supportive and against the bill. 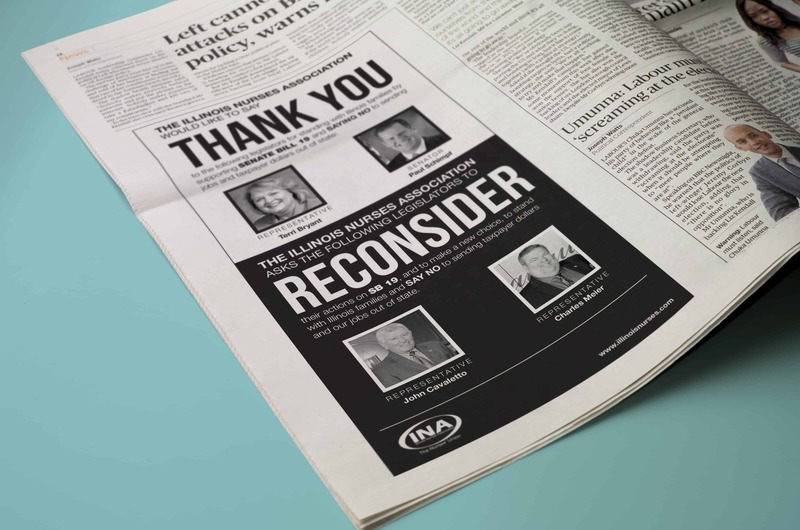 INA’s message in the ads supported friendly legislators while encouraging recalcitrant office holders to reconsider their vote to overturn a pending Governor veto. 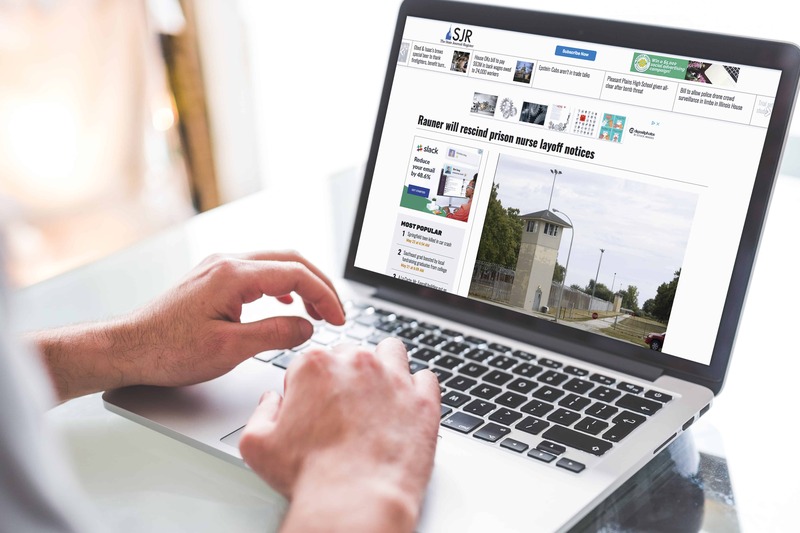 On May 22, both sides announced they reached an agreement to end the layoffs and reorganize the nursing staff at several of the prisons, ultimately saving the 124 nurses’ jobs, and setting up a plan to hire more State nurses. The public relations strategy and its multi-channel tactics played a significant role in saving 124 nursing jobs, protected patients from substandard care and stopped the expansion of union-busting privatization in the Illinois public sector. The campaign received an honorable mention in both PR Daily’s 2017 Nonprofit PR Awards and Ragan’s 2017 Health Care PR and Marketing Awards. Email us or use our live chat feature below to learn how you can cause a stir with a grassroots public relations campaign.